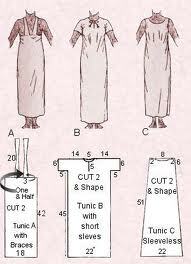 Here are some instructions for dress makers. Making a tunic has never been easier! All you need is some linen, cotton or polyster. Decora te the tunic with jewels, and symbols.